Marvin Gray wakes up in a psychiatric ward, struggling to come to grips with the traumatic event that put him there. Under therapy, he combs through past events in search of the present-day realities that elude him. Tragedies in Baghdad, botched love affairs and failed attempts at protecting children - none of which Marvin is willing to confront. Meanwhile, he is trapped in a sequence of events that include the murder of friends and the brutalization of his lover at the hands of crime boss Ross Levin, dubbed The Cincinnati Pit Bull. Marvin is forced to break the terms of his probation in Ohio and become a fugitive in order to investigate the incineration of a black lady in a backwater racist town in Kentucky. 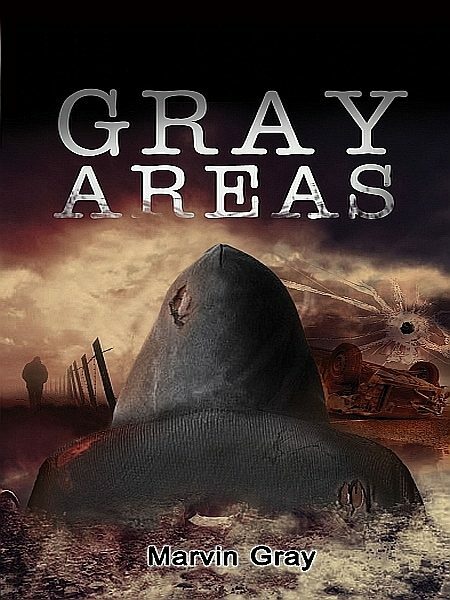 Gray Areas is the sequel to They Only Come Out at Night. In the latest Marvin Gray thriller he is forced to reconcile disparate threads of time and reality, bring the guilty to justice, and settle old scores. Doing so means venturing into gray areas that stretch the boundaries of his own humanity. It is a painful journey leading to places he won?t like, and teaching him things about himself he will like even less.